Excerpt from You, Your Child, and School: Navigate Your Way to the Best Education by Sir Ken Robinson, Ph. D and Lou Aronica, published on March 13, 2018 by Viking, an imprint of Penguin Publishing Group, a division of Penguin Random House LLC. Copyright by Ken Robinson, 2018. There’s more room to make changes within the current education system than many people think. Schools operate as they do not because they have to but because they choose to. They don’t need to be that way; they can change and many do. Innovative schools everywhere are breaking the mold of convention to meet the best interests of their students, families, and communities. As well as great teachers, what they have in common is visionary leadership. They have principals who are willing to make the changes that are needed to promote the success of all their students, whatever their circumstances and talents. A creative principal with the right powers of leadership can take a failing school and turn it into a hot spot of innovation and inclusion that benefits everyone it touches. Take Orchard Gardens elementary school in Roxbury, Massachusetts. Ten years ago Orchard Gardens was in the doldrums. By most measures, it was one of the most troubled schools in the state. The school had five principals in its first seven years. Each fall, half the teachers did not return. Test scores were in the bottom 5 percent of all Massachusetts schools. The students were disaffected and unruly and there was a constant threat of violence. Students weren’t allowed to carry backpacks to school for fear that they might use them to conceal weapons, and there was an expensive staff of security guards, costing more than $250,000 a year, to make sure they didn’t. Remember, this was an elementary school. Principal number six, Andrew Bott, arrived in 2010. People had told him that becoming principal at Orchard Gardens would be a career killer. He knew its reputation as one of the worst-performing schools in Massachusetts and admits that when he arrived it did feel like a prison. He had a radically different solution to its problems, which shocked many observers. He decided to eliminate the security staff altogether and invest the money in arts programs instead. The school had more than eight hundred students, most of whom qualified for free or reduced lunches. Half the students were learning English as a second language, and one in five were on individual learning plans for special needs. The school’s problems were not its students, Bott said. It needed a new approach to education. Having a broader curriculum, rich in the arts, engaged the whole student and promoted higher levels of achievement across the board. Students who were struggling in the old system came alive and graduated with confidence to high school and beyond. 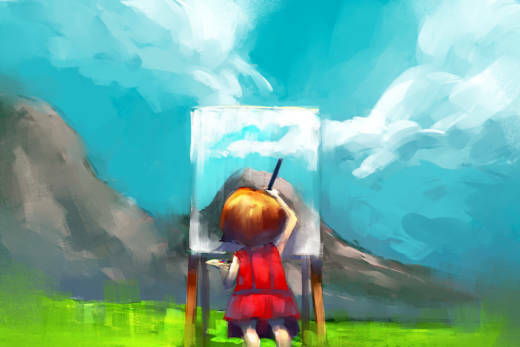 For some people, abandoning security in favor of arts programs seemed like a crazy idea. Bott knew, and events proved, that it was a bold innovation rooted in a sound understanding of what really motivates young people to learn. The transformation is not yet complete, but progress has been considerable. Bott has now moved on from Orchard Gardens, but the school continues to flourish under the leadership of the current principal, Megan Webb. The transformation of Orchard Gardens didn’t depend on any new laws being passed. All it took was a leader with the vision to see beyond the conventional habits of schools to the opportunities to do education differently. The story of Orchard Gardens (and others like it) illustrates an essential truth in education. The problem is not usually the students; it is the system. Change the system in the right ways and many of the problems of poor behavior, low motivation, and disengagement tend to disappear. It can be the system itself that creates the problems. 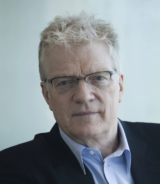 Sir Ken Robinson, Ph.D., is an internationally recognized leader in the development of creativity, innovation, and human potential. For twelve years, he was professor of education at the University of Warwick in the UK and is now professor emeritus. He advises governments, corporations, education systems, and some of the world's leading cultural organizations. He is also the author of The Element (which has been translated into twenty-three languages), Finding Your Element, and Creative Schools. He lives in Los Angeles, CA. 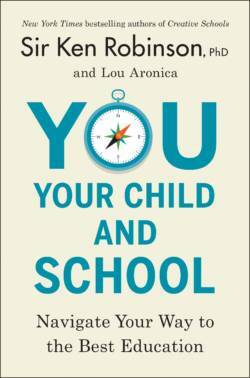 Lou Aronica is the author of four novels and coauthor of several works of nonfiction, including the national bestseller The Culture Code (with Clotaire Rapaille) and The Element, Finding Your Element, and Creative Schools, all with Ken Robinson.